Euronews’ Darren McCaffrey was joined by British Conservative MEP Jacqueline Foster and Maltese MEP Francis Zammit Dimech, with the European People’s Party (EPP), on Tuesday evening for the latest episode of Your Call. The call-in show sees viewers from across Europe phone and Skype in to have their say on the issues directly affecting them at home. 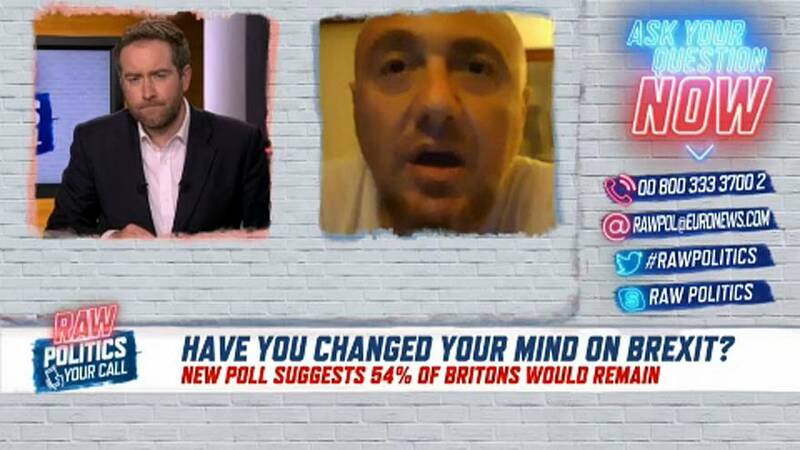 On Tuesday evening’s episode, viewers and panellists discussed whether or not UK voters have changed their minds since the 2016 Brexit referendum.